"Active Brazed Diamond Dressing Tools"
"Active Brazing" is high temperture brazing in an atmospheric furnace. We can braze both natural diamond and "man made" Synthetic diamond. Either Monocrytalline or CVD. We also can braze small grit diamonds. As the tip of a normal dressing tool wears, it gets wider, allowing more diamond surface area to come in contact with the grinding wheel. This causes resistance, creating heat generation, which leads to faster diamond wear. With the Synthetic Diamond log, it is only as wide as the initial contact area. Since it can’t get any wider, it does not change size as it wears. Without being able to wear wider, no greater surface area is created. The comparison between the Synthetic Log diamond tool and a tool with a natural diamond is similar to comparing a mechanical pencil to a standard lead pencil. The lead in the mechanical pencil never gets dull, and never needs to be sharpened like the standard pencil. The Synthetic Log diamond itself is simply a thin diamond rod, just like the lead in the mechanical pencil. It is Active Brazed into a steel holder, that can be made to match any shank configuration. At Diamond Alternatives, we can fabricate custom tool configurations to match your current diamond dresser type using our unique vacuum brazing techniques. 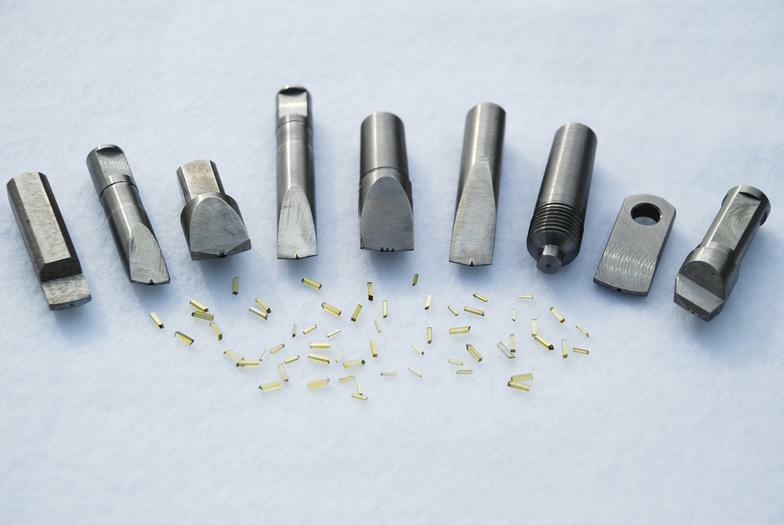 We also utilize traditional diamond tool manufacturing methods as well.